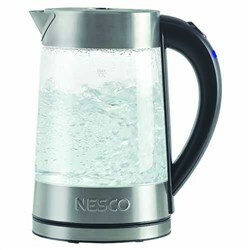 The Nesco 4818-17 is a 18-Quart standard model. 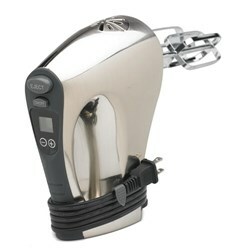 This roaster is ideal for large meals and entertaining in the home. 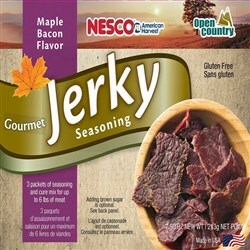 Unique Circle of Heat® construction means foods are cooked from the side, not the bottom, for more moist cooking results. Automatic temperature control assures even, energy-efficient cooking, every time. A wide range of temperature settings from (200F-450F) which allow you to slow cook, roast, bake, steam as well as sear and brown foods. For many, it's the primary kitchen oven. 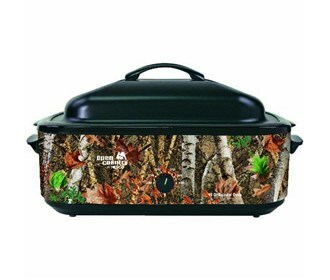 For others, a second oven for the family room, porch, or cabin. It's portable, so you can take it along for family outings. The single chrome steel rack includes handles for safe, easy insertion and removal of hot foods. Roast a whole turkey, up to 22 pounds, pot roast, pork roast, ham, or whole chickens. Bake cookies, cakes, pies, quiche, even whole meals. Cook soups, stews, lasagna, and hot dishes. Make enough chilli for the whole gang, Steam/poach vegetables, seafood, and poultry. 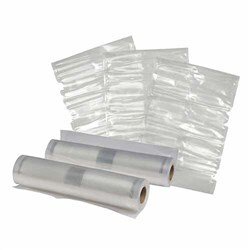 The entire unit is easy to handle, easy to clean, and easy to store. 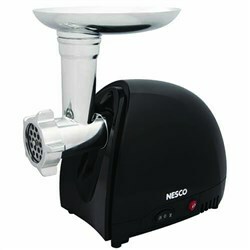 The Nesco 18 Quart Porcelain Roaster has many exciting features for users of all types. 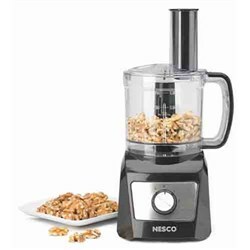 FactoryOutletStore stocks a full line of accessories like Nesco 16-Speed Hand Mixer, Nesco 500 Watt Black Food Grinder, and Nesco 8 inch Electric Skillet for the Nesco 18 Quart Porcelain Roaster. 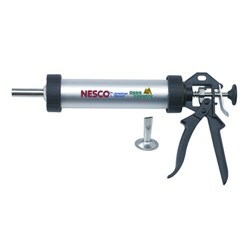 The Nesco 18 Quart Porcelain Roaster is sold as a Brand New Unopened Item.